A common question I hear from parents is, “What can I do to ensure that my child learns how to be a healthy, intuitive eater?” We want our children to eat enough, but not too much. 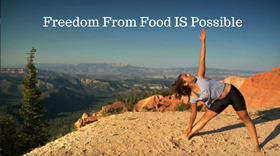 We want them to make healthy choices, but not be afraid to eat less healthy things. We want them to listen to their bodies, but we also recognize that we need to provide healthy direction. So how does one accomplish this several times a day without focusing so much on eating that it backfires into a disordered relationship with food? 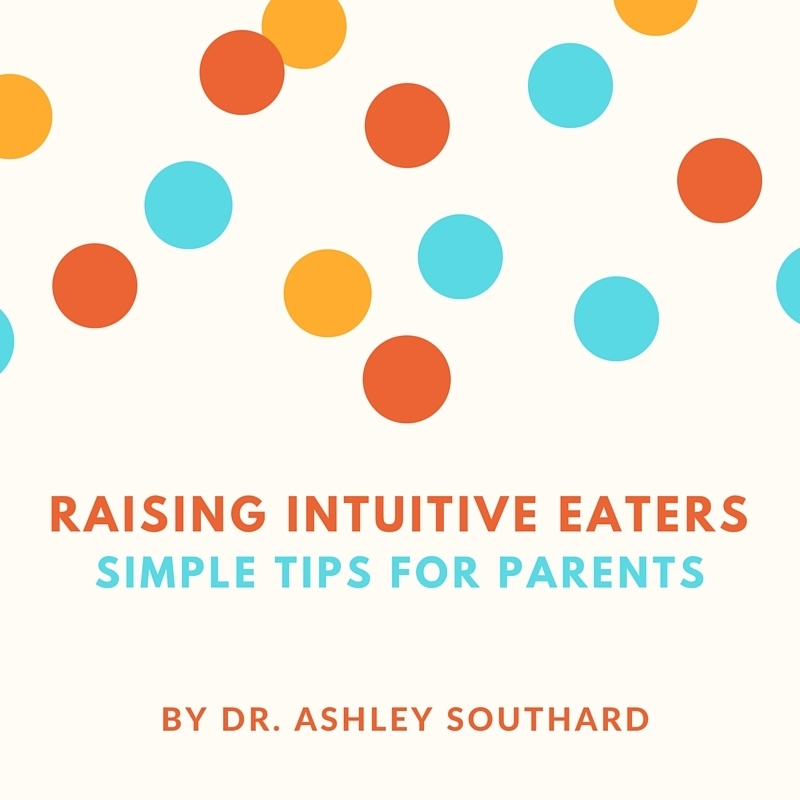 Below are some simple tips for parents who want to help their children harness their innate ability to eat intuitively. 1) Bring your mini-me to the store. Put them in charge of crossing items off the list or putting items in the cart. Teach them how to choose the best fruits and vegetables, and give them the opportunity to make the selection. As you select different items on the shelves, educate your child about why you choose one brand over another, and how different ingredients/products are used in making meals. Engaging them in the shopping experience helps connect them to the importance of planning for meals (which is something that many adults with eating disorders struggle with). 2) Plan family meals together. While we don’t want parents to become short-order cooks for their children, it is appropriate for family meal planning to be, well, a family affair. Ask your child things like, “Would you like oranges or strawberries on the side?” or “What protein should we have tonight – chicken or turkey?” Make sure you’re happy with whatever choices you offer so that your child can truly have a say. And if they whine about your choices then kindly let them know you’re happy to decide, but if they have an opinion you would like to hear it. Engaging them in the planning gives them a sense of ownership in the process, making mealtime a more pleasant experience for all involved. 3) Just look at the food. Children are naturally inclined to explore, so encourage this when it comes to trying new foods. Telling a child that they have to take at least one bite of the new food puts you into a power struggle with the child (and you will lose!) and makes trying new foods not very fun for them. So try a different approach…instead of requiring them to try the food, require that they simply look at it on their plate. Ask them to touch the food, notice the color, the texture, and the smell. Engage their curiosity and allow them the time to explore this new food without ever requiring that they try it. You may be pleasantly surprised when they sneak a taste and then declare that they actually like the food. 4) Enjoy dessert! Do not make dessert contingent upon eating all of dinner. This simply sends the message that they have to eat the bad stuff to get to the good stuff. There are two ways to effectively handle dessert. First, serve dessert with dinner. Second, allow dessert after dinner regardless of how much (or little) dinner they eat. By making dessert a non-issue with either approach, you’re sending the message that it’s just food, like chicken or rice or oranges, and that the child doesn’t have to work hard to get this food. This sets into a motion a relaxed relationship with dessert foods, such that your child will have permission to eat dessert because it sounds good, and not feel inclined to eat it simply because it’s a rare opportunity that may not happen again for awhile. 5) Is your tummy happy? Teach children to check in with their bodies ~ not you ~ to decide when they’re done eating. If we encourage “just one more bite” or “eat X or you won’t get dessert,” then we teach them to bypass their body’s natural hunger/satisfaction cues. Asking them, “Is your tummy happy?” when they say they’re done eating puts the responsibility back on them to know how much food they need/want, and signals to them that you trust them to make that decision. With practice, your child will perfect the art of knowing just how much food will be satisfying for them, and will not rely on external cues (e.g., time of day, eating entire portion) to dictate when to start and stop eating. Do you have other tips? We’d love to hear them in the comments below.